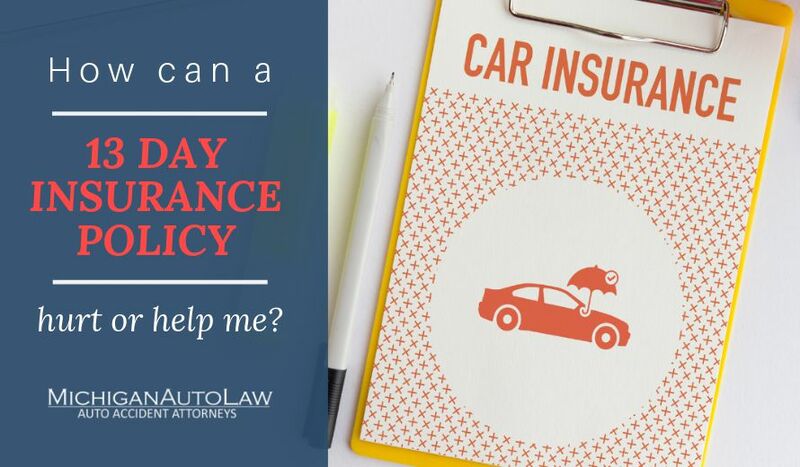 House Republicans will introduce – maybe as soon as this Tuesday – a controversial plan to repeal Michigan’s No Fault auto insurance law and replace it with a pure tort liability insurance system. The idea behind the repeal plan is to dramatically lower Michigan’s high auto insurance prices. How do I feel about a plan to repeal our auto No Fault laws? During my 25 years as a car accident lawyer, I’ve seen it prove vital in protecting the car crash victims I’ve had the honor of representing. There are some great things about Michigan’s auto No Fault insurance. Access to medical care is better for people who suffer serious injury in automobile accidents, and the quality of this medical care is better. But we’ve also been witnessing an endless line of insurance-industry-backed partisan attacks on our law. Partisan judges have created “judge-made” law, with devastating legal decisions such as Kreiner and Bahri and other judicial travesties that have wreaked havoc on thousands of innocent auto accident victims. Politicians during this time have been no better. Just a few short months ago we saw Rep. Lana Theis and Detroit Mayor Mike Duggan intent on dismantling and destroying Michigan’s No Fault law in the Legislature – an effort that was defeated on a 63-45 vote in the House. Before that, we saw other equally horrible, insurance-industry biased bills aimed at wrecking No Fault such as: Senate Bill 248 (2015); Substitute for Senate Bill 288 (this was Detroit Mayor Duggan’s failed D-Insurance plan)(2015); House Bill 5854 (2014); House Bill 4612 (2013); and House Bill 4936 (2011). And that means that eventually auto accidents victims – the people I’ve committed my entire legal career to helping – are going to get hurt. It’s not a matter of if, it’s a matter of when. And when it happens, how bad will it be. If the rumors prove true and the Republicans release a plan to repeal No Fault this week, here’s the rub: many of the people opposing a repeal bill will likely in a few short years be wishing for No Fault repeal. If our Republican dominated Michigan Supreme Court or Republican Legislature changes our third party tort law and if the courts and Legislature continue to cut away at our first party No Fault system with decisions like Admire, Cameron, Bahri, Douglas, Devillers, Johnson, Krohn, and so many others, a lot of these people fighting the No Fault repeal battle are going to be wondering what the hell they were fighting so hard to protect. This holds especially true for the medical providers and doctors who currently provide reasonably necessary medical care to car accident victims under our No Fault law. Ironically, it’s probably the doctors and hospitals and No Fault medical providers who currently provide this necessary medical care that will fight the hardest to oppose a No Fault repeal in Michigan. But these medical providers have no idea how hard – perhaps, close to impossible – the Republicans are going to make it for them to continue with business as usual under No Fault in the next few years. That’s because almost all of these medical providers and doctors have no idea just how close they came to having the status quo turned upside down just several short months ago. Yes, that plan failed … this time. But make no mistake: The insurance companies want this. This is the future for doctors and hospitals if No Fault continues in this state. First, we would see huge savings in the cost of auto insurance. People complain how much more expensive insurance is in Michigan compared to neighboring Ohio. With a pure tort system our insurance drops to what people pay in Ohio, resulting in thousands of dollars in savings on car insurance. Second, car accident injury victims (and yes, the lawyers like me who represent them) would be spared the legal uncertainty of not knowing what the law will be from one year to the next. This death by one thousand cuts from bad court rulings and legislation to upend No Fault would finally stop. There would finally be legal certainty for everyone on what exactly Michigan’s auto law actually is. Everyone is exhausted already. As an aside, I’ve been helping people in car accidents for almost 25 years, and nothing makes people feel our current law is more unfair than the Michigan mini tort law. People who were completely innocent and not at-fault for a car wreck discover they are responsible for paying thousands or tens of thousands of dollars in car damage repair bills because of a negligent driver who is shielded from paying under our mini tort law. The mini tort protection for at-fault drivers stops, and we have legal certainty – we know that the at-fault driver (and his or her insurance company) are responsible for everything – for all economic and non-economic damages caused by the crash. Third, I’ve been writing for years on the pages of this auto lawyers blog about the ugly rampant legal fraud in this state by a small but growing number of auto accident lawyers and fraud rings composed of unscrupulous lawyers, doctors, therapists, runners and cappers. Returning Michigan to a pure tort liability insurance state stops a lot of the ambulance chasing and especially the price-gouging by certain unscrupulous medical provider lawyers almost overnight. As the Michigan Attorney Grievance Commission has refused to get involved, and as whispers of imminent grand jury indictments and RICO fraud lawsuits against certain prominent Metro Detroit personal injury lawyers continue to be rumored but have yet to materialize and the years continue to pass and the PIP fraud continues to grow in this state, this is the best way to stop most of the fraud. Even the staunchest defenders of our auto No Fault system must admit there is a steep cost of doing nothing. I’ve probably done well over 100 media interviews defending No Fault, so I count myself over the past two decades as one of these staunch defenders. But we all must admit that a small but growing number of bad actors aggressively pursuing the most extreme short term (and short-sighted) personal financial interests are now jeopardizing the entire No Fault system for everyone. Sticking our collective heads in the sand is not a sound long-term strategy. Our No Fault system is in the relentless sights of so many insurance-industry-beholden judges and politicians, and with the benefits and protections that make No Fault so vitally necessary constantly being attacked and year by year gradually being taken away from those who need it most, we may all be making the most horrible of well-intentioned mistakes. We are about to embark on yet another fight to save our auto No Fault law in Michigan and stop this latest repeal No Fault effort. But will we be fighting to save something that is destined in a few short years to be gutted to the point of being meaningless and useless for those who need care under our auto No Fault system the most? And when that day comes, we will all be saying we would have all been better off with a full repeal of auto No Fault and returning Michigan to a pure tort state like the majority of the country is today.